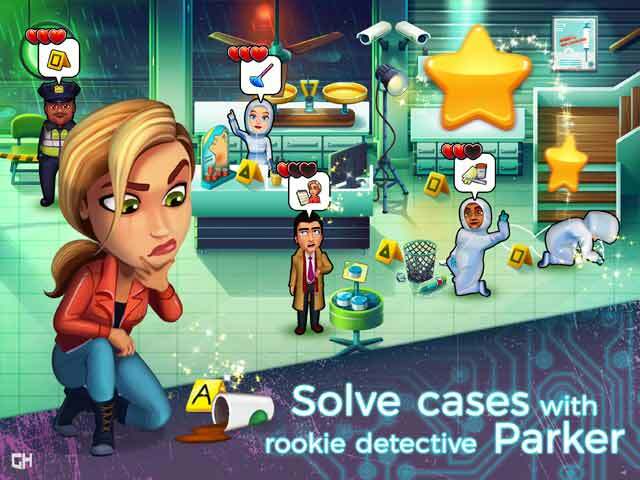 Help rookie detective Parker solve murder cases and bring criminals to justice! Unique casefile system – build your case! 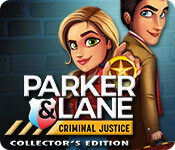 Parker & Lane: Criminal Justice Collector's Edition is rated 3.2 out of 5 by 39. Rated 5 out of 5 by InSearchOfFun from Please make more! This is a great series! I can't wait for the next one. Please don't stop writing for these characters. Rated 5 out of 5 by baa27 from Brilliant Game Very best time management game so far and I love the Roads of Rome and Adelantado games but I like the storyline on this one better. The game play is quite fast, it's certainly not a difficult game but it has some difficult tasks that take time to learn. There is a challenge I am finding too hard and one of the levels (35) has e stumped at achieving a diamond. Rated 5 out of 5 by stacynp90 from Fun! Thought this game was really fun and easy to get three stars and find the mice on every level. Really could care less about the endless levels (not my thing). A little glitchy at times and hard to get all the trophies, but other than that would definitely play another one of these games in the series. Rated 5 out of 5 by _H_B from Two thumbs up Loved everything about this game, especially the storyline, different character that the usual and nothing like the same old, same old, that keeps coming out. My real opinion, beyond this game, stop putting out so many Hidden Object games and make more of these types of Time Management. Rated 5 out of 5 by Amari from What a great twist on a TM game I love the Delicious series so when I saw that this game was by the same people I knew it would be good. I love the fact we are involved in a crime and investigating crime scenes! The storyline is great as usual as well as the music score. The levels are challenging which I love. Great game! Rated 5 out of 5 by kerith90angel from A challenging Delicous-like game w/some great added features BASED ON COMPLETED DEMO This is a Delicious-Like game with a spin. This DEV has thought out of the box to change up the usual gameplay of this type of TM. I absolutely loved it. It is not easy either but you become more accustomed to game play the more levels you complete. The only extras I can see in this CE are extra levels and getting the diamonds to earn for a case-book. So I wasn't huge on the extras, not enough pull to buy the CE version. All of the "basic tasks" that are in the Delicious games are here, with some other tasks added that really make it a real challenge by comparison. I loved them and they are an improvement to most TM of this type. Instead of clicking on a check-out register to complete your people out, you click on a police officer instead. Since he changes position each level or so, this can sometimes offer more challenge as well. Your little task bubbles will show different areas in a room that have a matching shape; a square, circle, or a triangle. Unlike the Delicious games some of your clients need to be moved to different shaped areas, before they will go to the check out officer. This game has a more serious storyline then most of the Delicious-like games and it's more like the 3 games in "The Hearts Medicine" series, in that way. I liked that Parker, your female character, has more intelligence than we see in games of this type. The only things I would tweak to perfect this game are minor; They are: I prefer Carl the mouse to squeak instead of the cutsie female sound effect(s) that didn't fit this deeper storyline. I wasn't a fan of the precise clicking (though it gets easier as you learn). By that I mean, The little orange icon above the client's head would have to be clicked on exactly. Several times I would have to replay something because I'd clicked the character and not that orange icon box and thought I'd done that person already to only have to tend to them again. One final thing was closing out the minigames. I loved the MG, and the amount of them, but I didn't like that it needed one final click on the window when the MG was completed in order for the MG box to close. Those last two flaws make your progress stumble. I own and have completed most of this type of game. The earlier CE versions of Delicious made me want to buy that version as there was enough bulk for the extra money; not so in these newer versions (aside from Dr. Cares #1 because I love helping animals and it was a must own simply for that fact). My favorites in the Delicious group are: 1. Delicious #4 Taste of Fame (2009) 2. Delicious #6 Emily's Childhood Memories (2011) This game has the best CE content of this type. 3. Delicious #7 True Love (2011) 4. Delicious #8 Wonder Wedding (2013) 5. Delicious #9 Honeymoon Cruise (2014) And here are some other Delicious-Like games to demo if you haven't already, they are of similar type (I put them in order of my favorite games): 1. Dr. Cares: Pet Rescue 911 (2017) I loved the animals. 2. Heart's Medicine Series has 3 games (2015-17) 3. Maggie's Movies: Camera, Action! (2017) 4. The Love Boat (2017) 5. Mary Le Chef: Cooking Passion (2017) 6. Fabulous, Angela's.... (has 2 games in series) My only dislikes with Parker & Lane #1 are simple technical flaws and all in all this game is a blast and I will be buying the SE if it comes out as one. The CE version would have to have more available, like we see in Delicious: Childhood Memories. Thank you to the DEV! This game is SO well done and you should be proud!! Rated 5 out of 5 by GloomySunday from Great fun, good pace, fresh new take After the developers so thoroughly ruined the Delicious series, I nearly didn't download the demo of this game. I'm glad I did anyway. This game follows the Heart's Medicine formula - you deliver stuff and do quite a lot of mini games. It's an entertaining combination that breaks the monotony of only delivering. The setting is solving a series of murders and I just love this crime setting. It's entertaining and gives room for a whole different set of locations and tasks. The storyline itself get a bit stale after a while, as they concentrate less on the murders and more on the squabbling between the police officer and the lawyer. It is repetitive and we all know where it will end (yawn). Still, the cut scenes can be skipped, so it's no big deal. There is no option to choose the difficulty level, which is disappointing, but then there is a good pace and there is always an extra task, so even as an experienced TM player I felt sufficiently challenged. Locations change frequently, there is a good variety of mini games and so there is always a bit of a new challenge every few levels. I really did like the wide variety of tasks - they did a great job. The mini games are explained with pictures, which can leave one a bit confused, especially as time is running. However, the mini games can all be figured out, so this is not a real deal breaker for me. The upgrades are a bit disappointing (judging from the one hour of demo playing - maybe they'll pick up). They could as well just have left them out instead of having so few of them. I encountered no technical difficulties or bugs. However, in spite of the few small misgivings, this is a fresh new take on th well-known formula and finally gave me that "just one more level"-feeling back. Great game, great fun! Rated 5 out of 5 by pennmom36 from BY FAR THE MOST ENTERTAINING TIME MANAGEMENT GAME I'VE EVER PLAYED! I've always been a fan of the Delicious series of TM games, and I was totally blown away by Parker & Lane: Criminal Justice, so much so that I'm not going to wait for the Standard Edition version to be released! Detective Parker is assigned to her first case, a Faceless Crime, after a jogger finds half a dead body! That's right, only half, and not the easily identifiable half either! I was super excited right from the get go, what could be better than being a detective and solving cases TM style? This game has a great plot, and the TM tasks for the most part are really good. Detective Parker has her work cut out for her (although I seem to be doing all the work!) Even Carl the Mouse is curious about this investigation, and pops up in every scene. It is Parker's job to assign the investigator's to their desired posts, by selecting the investigator and clicking on the station he is requesting. Each investigator has a thought bubble with an image of his expertise, or where he wants to go. Once he has been directed to the correct location, he will show images of inventory items he needs to get the job done, tools, camera etc. As with most TM games, some equipment will require multi steps in a specific sequence, before delivering, and some inventory items are in limited supply, and require restocking occasionally. Once the investigator has finished, you need to click on him to get the case findings. The longer they wait, the more angry they become, and the less points you'll receive. 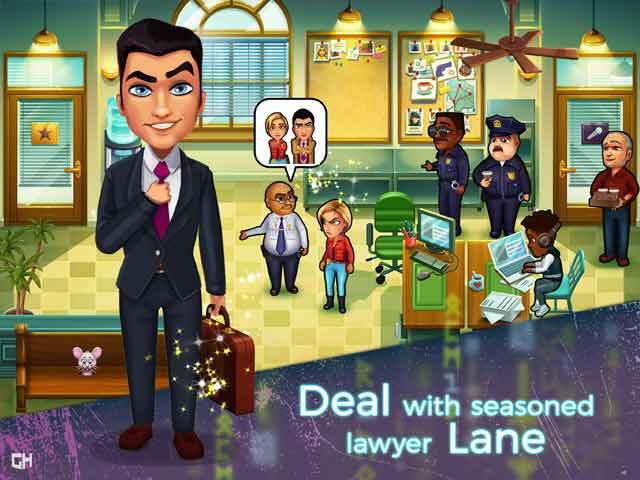 Some requests, require Parker's personal opinion, or a mini game to be completed such as using a slider bar, or picking up evidence with tweezers. There's only one camera, so the investigator's have to take turns, and there are 3 different pieces of the camera they may need, the camera, a flash, and a tripod. The Challenge Levels suddenly have more meaning (I'm assuming they are only offered in this CE version) but when you complete a Challenge level, you will not only earn a Trophy Achievement (again I'm assuming this is a CE only feature) but it allows you to unlock and build case files. You get to reconstruct the crime scene! The Achievements are just as awesome, and have unique quests and milestone trophies. You can find 9 dead people and body parts, complete 15 daily challenges,and even unlock endless levels. This is such an awesome game, there's no clicking an dragging of the characters, a feature I hate, and I love that I get to sleuth. The studio's that shall not be named, has done an awesome job with this game, and they have created a really fun TM game! What are you waiting for? Go solve some crimes, enjoy! Rated 5 out of 5 by Kitty221 from Parker & Lane Fantastic, if you love all the Emily games then this is one you want to have in your collection!! 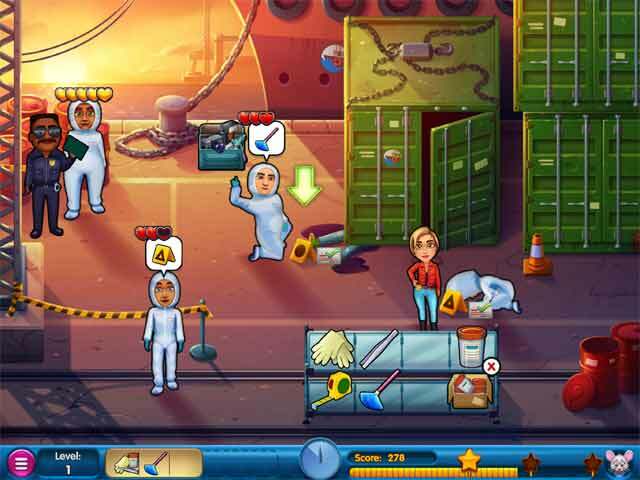 Graphics great, storyline fun and clever, of course, the gameplay is addicting as always and fun fun fun.